Those who know me well, know that I like to tinker with electronics projects. And tend to have a lot of projects going at any given time. Lately, I’ve been playing with lithium ion batteries. I’ve always enjoyed playing with batteries, using them to power remote control toys, or small electricity projects when I was a kid. I remember gutting 12v fans from HP desktop computers (386’s I think) and using them on hot summer days to try and stay cool, powered by 12v batteries. I’d use a big external battery pack, jankily wired into my gameboy, to keep it going on long car trips. Much more recently, I learned about lithium-ion batteries, enjoying both their rechargeable nature and high power density. They keep my hexbright flashlight shining bright and allow it to recharge easily. 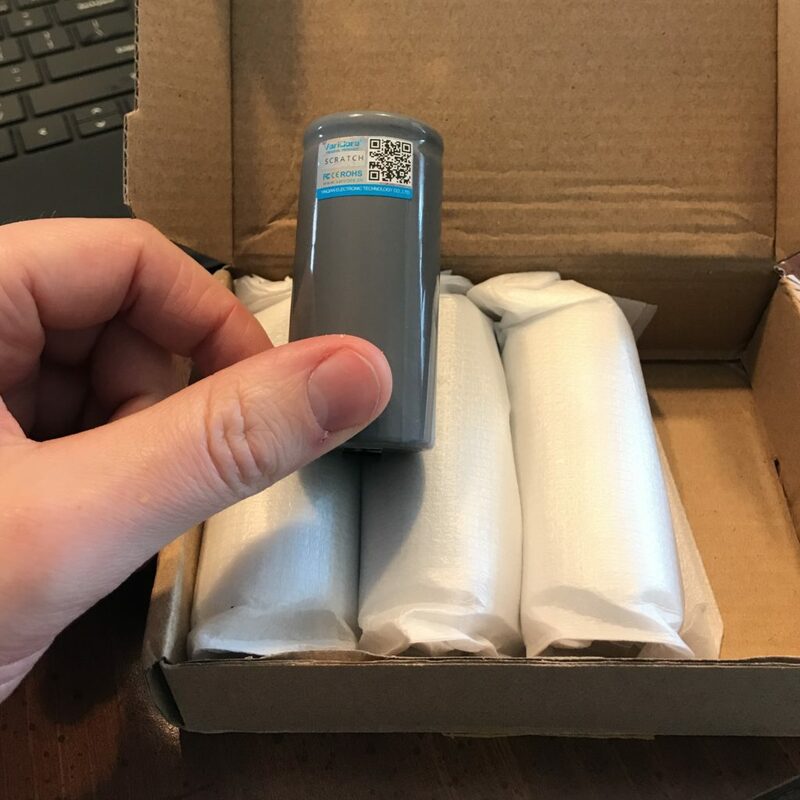 I have a LiFePO4 battery in my motorcycle, which is one of the few batteries that will fit in its tiny pancake-shaped battery compartment and still have enough power to crank the engine. I also have a bicycle with an electric motor and large lithium ion battery pack – that pack uses 56 little 18650 lithium ion cells. The Tesla motor company famously uses hundreds of them to power their cars. Back to the pictures above – I’ve had 2 old laptop battery packs kicking around my house for several years (14 years in fact, actually following me through 4 different moves). I’ve been meaning to recycle them, but then I started wondering if there were any useful cells inside of them. 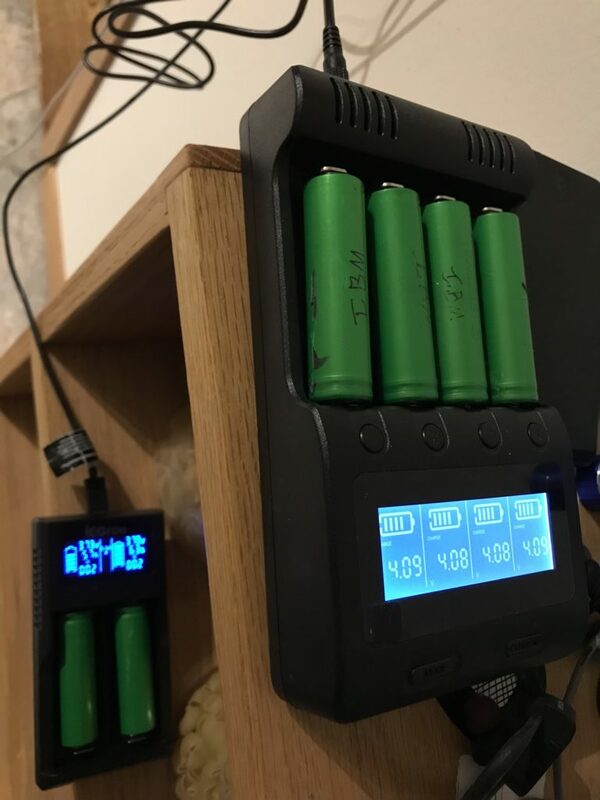 Many folks online are harvesting cells like the above from old battery packs they can find, and using them to power bikes or skateboards or even their house. It’s a rather common failure mode for 1 or 2 cells in a laptop battery to go bad, making the pack useless for powering a laptop. But there’s still life in the other cells. 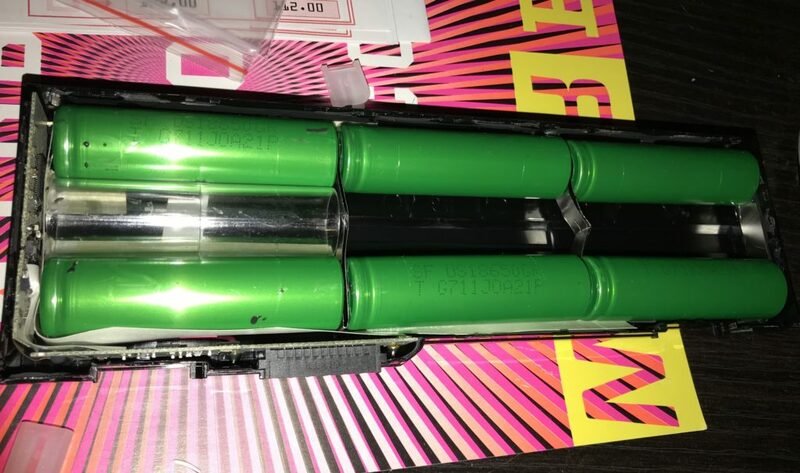 …I was able to remove 15 18650’s from these 2 old packs – could they be any good? Winter at Michigan Tech means a few things – snow, Winter Carnival, and broomball! Thought I’d highlight that last one a bit here, as I have just wrapped up my 9th season of playing Michigan Tech broomball! As an aside, one thing I look to be doing with this extra time is building out a new website – http://thinkfast.dev. I’ll just leave that here for now, more coming later!